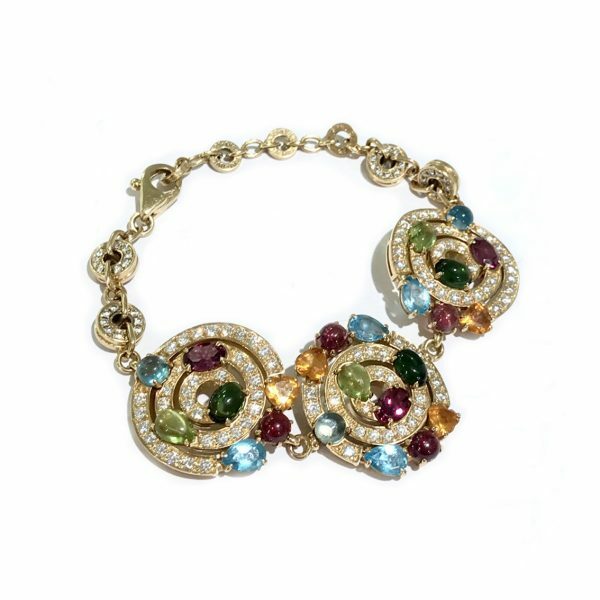 Description: This beautiful bracelet is made of 18k yellow gold swirled into a shield design. 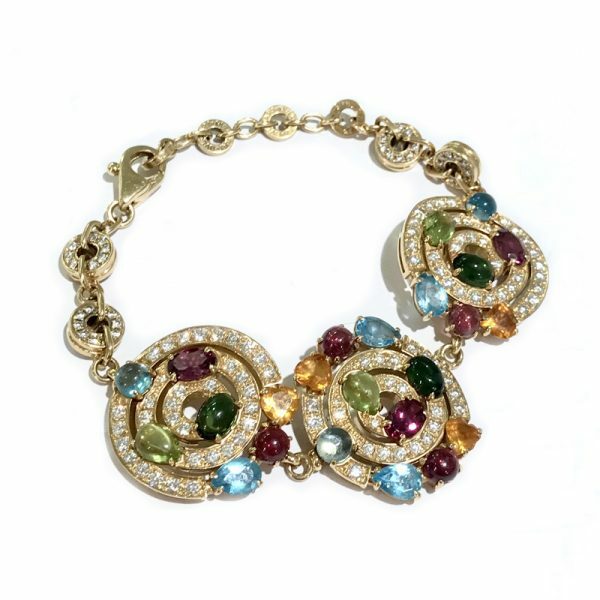 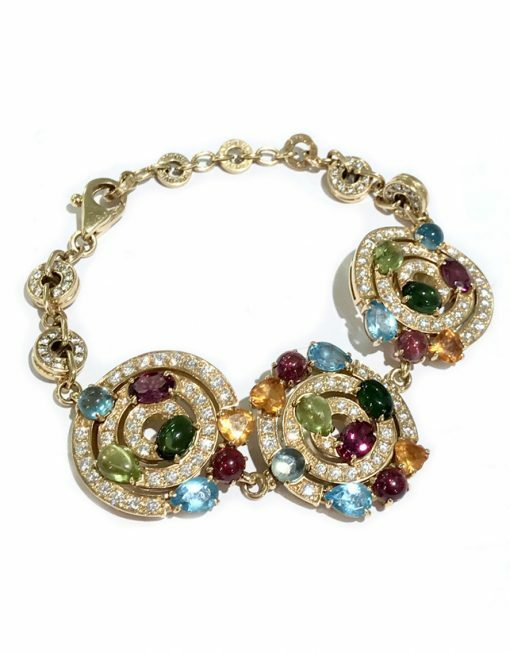 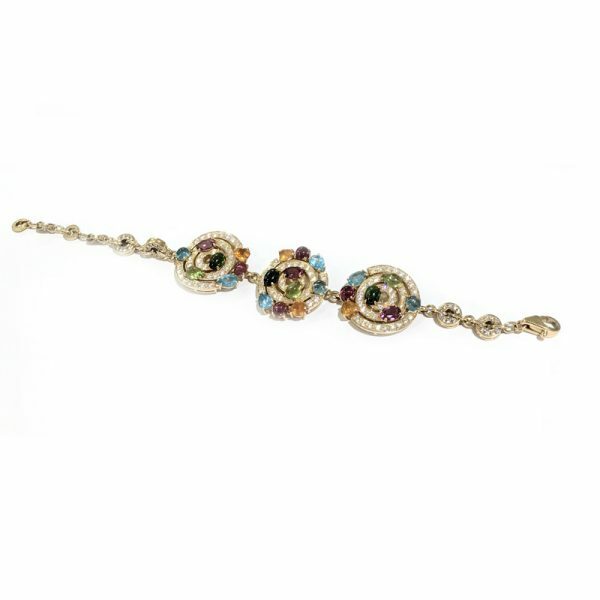 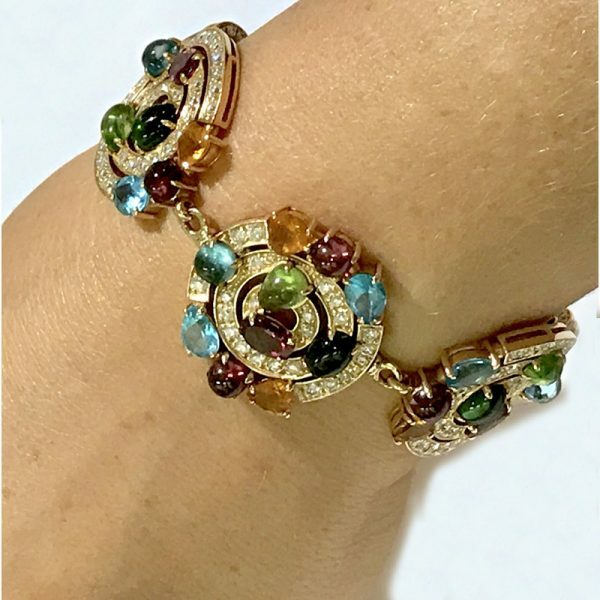 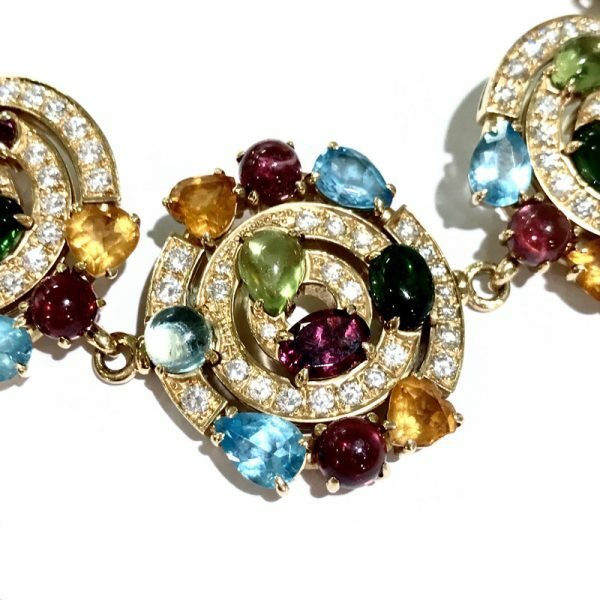 Each of the three shields are set with diamonds, citrine quartz, amethysts, peridots, green tourmalines and blue topaz creating an exotic mix of colours. 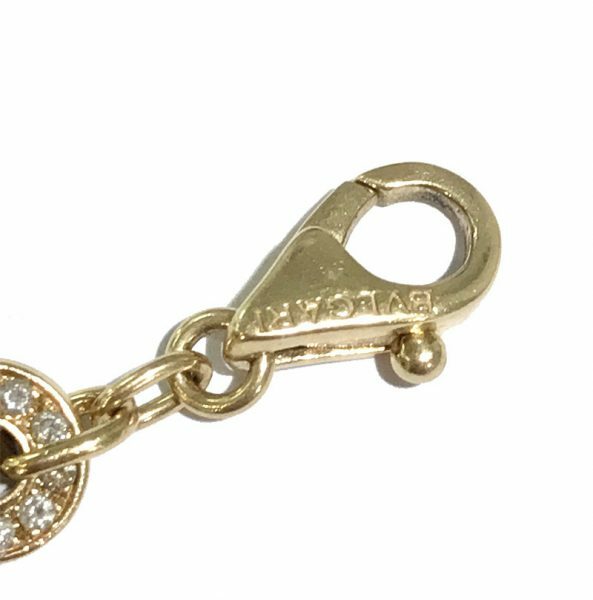 Packaging: Comes with a Bvlgari presentation box.